Everyone can appreciate time saved in the kitchen. And while it may seem like takeout, pre-packed meals, and frozen foods are the easiest options, there is a much healthier and cost-effective answer: a slow cooker! Slow-cooked meals are a great way to put your mind at ease knowing you have dinner waiting for you at home. With only ten short minutes needed to prep these protein-packed stuffed peppers, this flavorful recipe is ideal on busy days. There’s nothing like coming home to a comforting bowl of chili after a busy day, especially when it’s made with guilt-free ingredients. 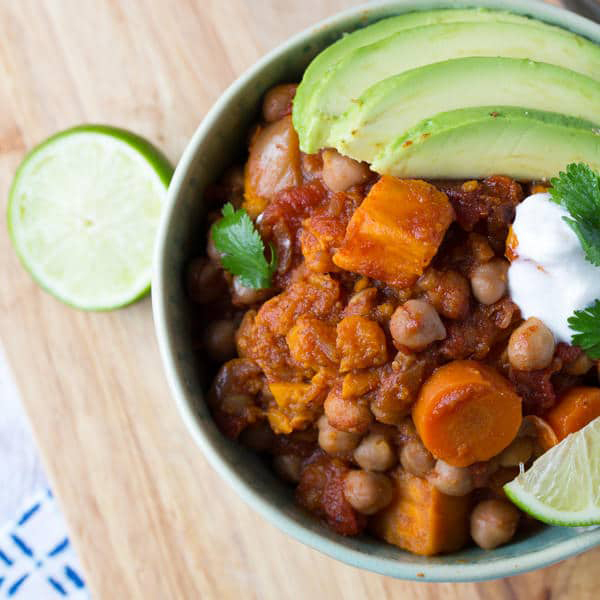 The Green Valley team are huge fans of this high-protein, fiber-dense variation made with garbanzo beans and sweet potatoes. Busy parents will appreciate this lighter Mexican-inspired meal that forgoes meat in favor of healthy veggies and grains. Made with high-protein black beans, fresh corn and jasmine rice, the entire family will love this better-for-you meal. 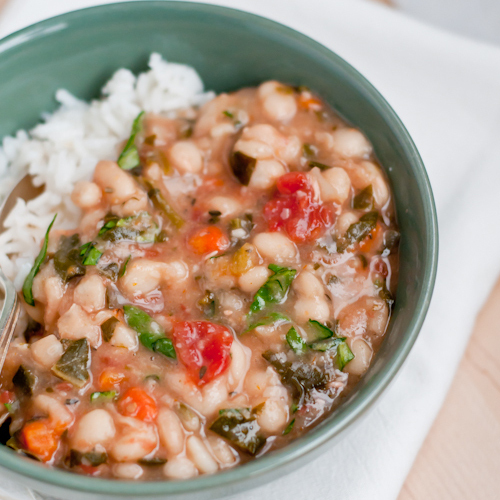 Slow-Cooked White Bean StewThis easy-to-prepare slow-cooked stew is loaded with protein and iron thanks to a super ingredient- Great Northern Beans. Paired with a variety of healthy veggies and spices, this nourishing meal will save you a ton of time in the kitchen. The entire family, kids included, will be looking forward to going home to this slow-cooked chicken. Topped with unsweetened applesauce and spiced up with cinnamon, everyone will love this sweet and savory take. 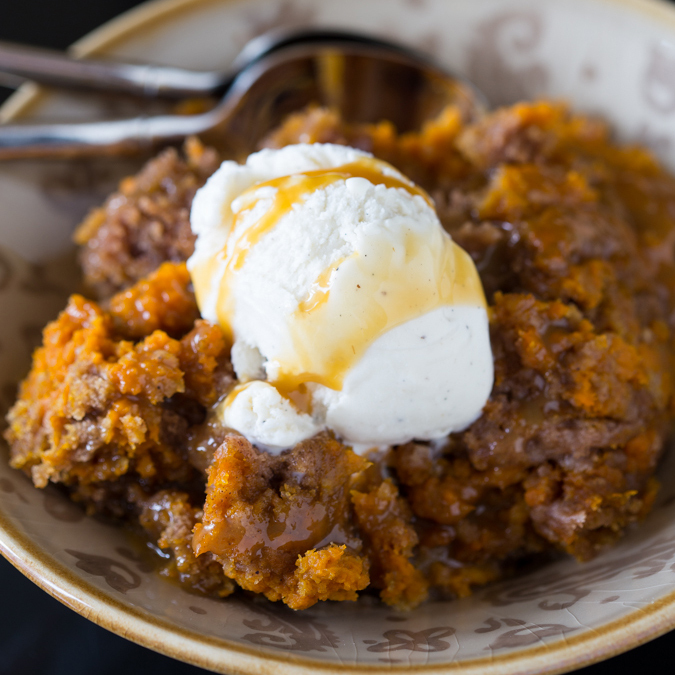 If you think slow cookers can only be used to prepare meals in-advance, you’ll be pleasantly surprised to learn they are great for dessert as well. With only three simple ingredients needed including vitamin-dense pumpkin puree, your family will be begging for you to make this recipe time and time again. If you have any healthy slow-cooked recipes to recommend to us and the rest of the Green Valley community, share them with us! Post your photos on Facebook or Instagram for your chance to be featured on our page.